The BBC is to offer up to 12 live streams of coverage from Wimbledon, giving the annual event its most comprehensive coverage yet. Viewers with connected TVs will be able to access the 12 HD streams with the BBC Sport App, available via the Connected Red Button, which is in the process of being made available on an increasing number of devices. This includes viewers with the latest Freeview HD smart TV models and those with Virgin's TiVo service. The BBC Sport App is also available on Freesat Freetime receivers. The availability of the streams in HD will depend on viewer's broadband connections. Via conventional means, the BBC will broadcast up to 5 red button streams, which are being created on terrestrial (for Freeview/YouView receivers), on cable and on satellite (Sky/Freesat receivers) to provide extra coverage of events through until the end of the Commonwealth Games in early August. The coverage is on top of the usual programming from SW19, broadcast on either BBC Two (HD) and BBC One (HD) for the duration of the event, which starts 23rd June. Highlights of the day's events will be broadcast at 8pm on most nights on BBC Two (HD). The BBC iPlayer will bring full BBC One and BBC Two coverage of the event, live and via catch-up. New for 2014 the current ladies champion Marion Bartoli brings her unique insight to the BBC team and will be working across television and radio throughout the fortnight. She’ll be joined by British number one, Laura Robson. Forty years since claiming his first Wimbledon title, Jimmy Connors returns to the BBC television line-up, joining Tracy Austin, Pat Cash, Lindsay Davenport, Peter Fleming, Tim Henman, Anne Keothavong, John Lloyd, John McEnroe, Sam Smith and Virginia Wade. Martina Navratilova is back for a second year in the BBC commentary box. 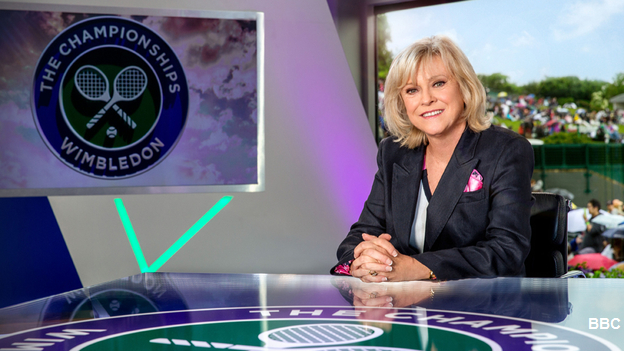 Martina, who has 20 Wimbledon titles, will commentate for television and 5 live throughout the fortnight. The BBC set the bar high when in 2012 it offered 24 Olympic streams (a set of 24 in HD and the same set in standard definition). Following a review of the BBC Red Button service, which saw the regular service being cut to just one stream, the BBC is making use of temporary capacity and the ability to stream extra coverage online to viewers to offer short-lived "pop-up" streams. It first started using "pop-up" streams last June for Wimbledon and Glastonbury, plus an HD stream covering further events until September. Temporary streams made a return during the Sochi Winter Olympics in February 2014.